Passport Game: Once again, we'll be participating in this fun event which gives attendees a chance to win $1,000! Click here to download & print your passport; click here for all of the details & rules of the game. Fashion Show: Look for our newest Outlandish pattern in the Fashion Show: the Time Traveler Vest project kit will be available for purchase in our booth at the show. 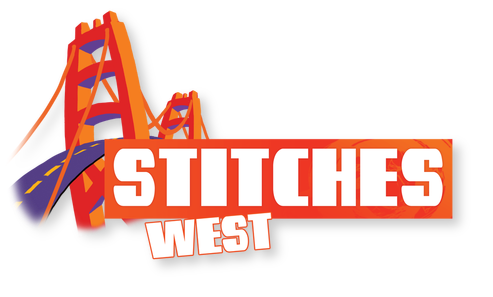 Yak Pak: ask us about our new Yak Paks which will be making their debut at Stitches West! Click here to view our Events Calendar for 2015! 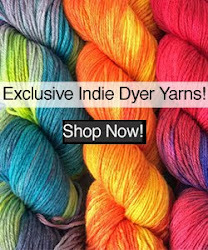 Honestly, we can't think of anything better than getting more of the yarn you love at the same price- can you? 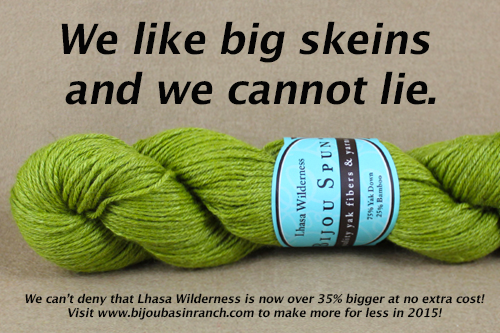 Well, now there is a lot more to love, because all Outlandish colors of Lhasa Wilderness yarn are now 2.7 ounce skeins with a generous 250 yards - that's over 35% more than before! 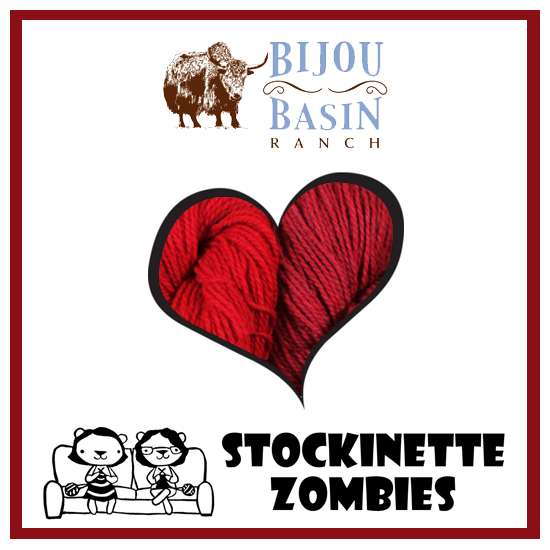 If you still need more reasons to fall in love, you might want to check out this recent episode of the Stockinette Zombies podcast for a review of our Tibetan Dream sock yarn. 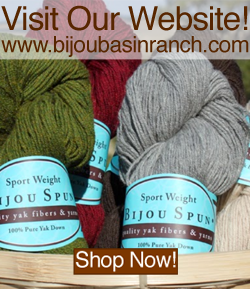 Not only is there a special discount for Stockinette Zombies fans to redeem in our online store, there is also the chance to win an excellent prize pack featuring BBR yarn and Allure Fine Fiber & Fabric Wash! The discount and contest end on Valentine's Day (2/14/15), so don't delay!